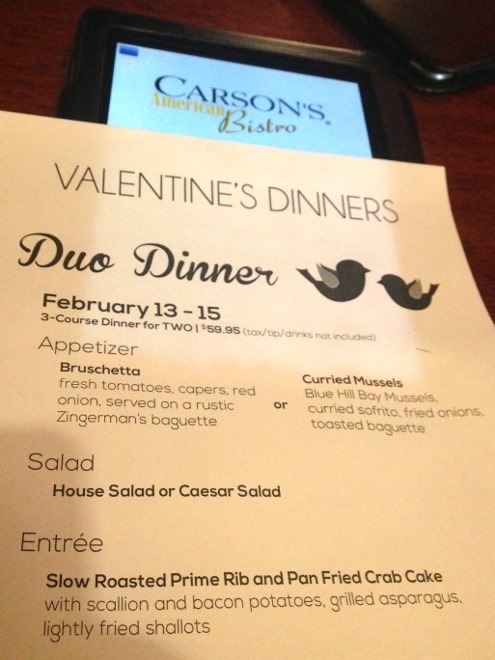 This past weekend, I had such a lovely meal at Carson’s American Bistro! Being the very lucky winner of a Valentine’s Day Duo Dinner for Two, the huz and I were treated to a wonderful meal! I won by joining their email list while this contest was running, and was randomly chosen as the winner. To be in the know for future promotions and events, sign up for their email list or become their Facebook fan! Carson’s is right up the road from my office, and due to its proximity, I’ve had the opportunity to visit several times in the past (including for lunch, birthdays [they have a fantastic birthday deal], work outings, happy hour, and Restaurant Week! ), and I’ve always had good experiences. I was delighted to have the chance to try out their three-course Valentine’s Day meal! First we opted for for the Curried Mussels which smelled ah-may-zing. They also tasted delicious. 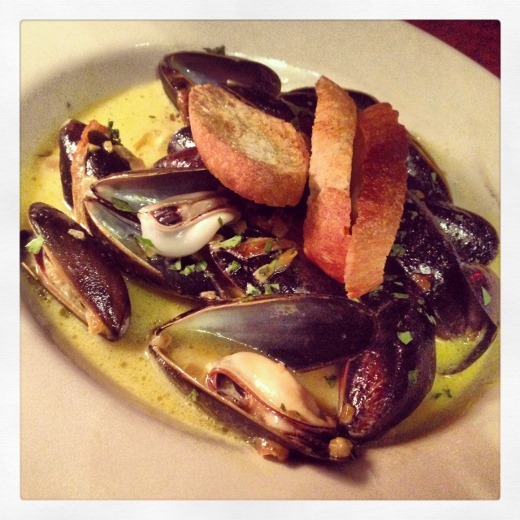 I especially loved dipping the toasted baguette in the curried sofrito after eating all the mussels. 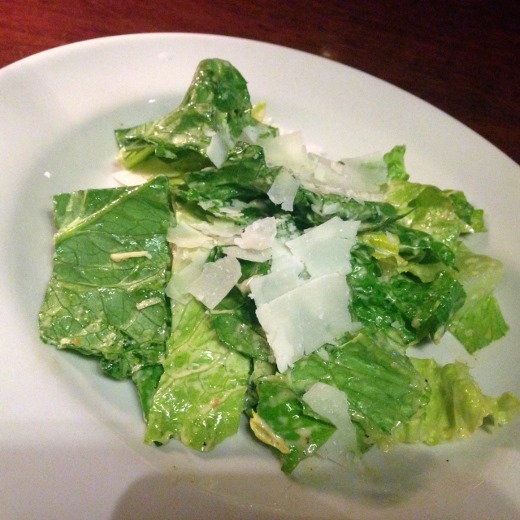 Next we each went with the Caesar salad – I love the shaved parmesan on top. The main course certainly was something special! 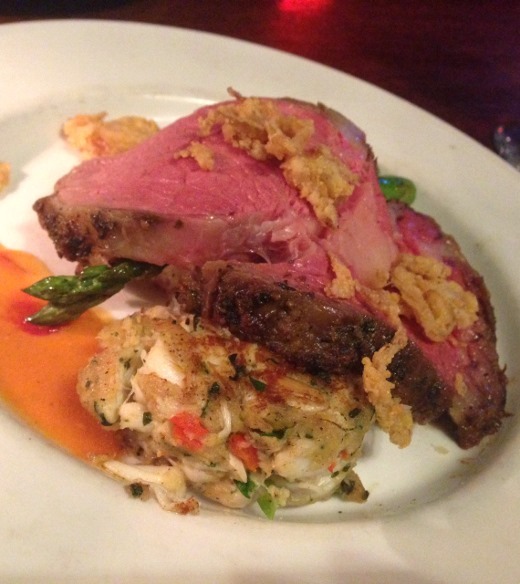 A thick, juicy slice of prime rib, with a perfectly seasoned crust, and a crab cake. I loooove Carson’s crab cakes, having had them once or twice in the past – I was very much looking forward to my crab cake! They are almost purely lump crab – so sweet and tender. Beneath the prime rib was a scoop of savory mashed potatoes with scallions and bacon (because prime rib and crab weren’t enough!) and grilled asparagus (which made me extra-anxious for spring because I associate it with spring!). What a wonderful (big!) plate of food. Oh, I can’t forget to mention those crispy shallots on top! Yum. Not only did we enjoy the amazing food but we were also treated like VIPs all night which made for a really special experience. We were sent home with desserts to try after we had no room for dessert at the restaurant as well – what a treat! 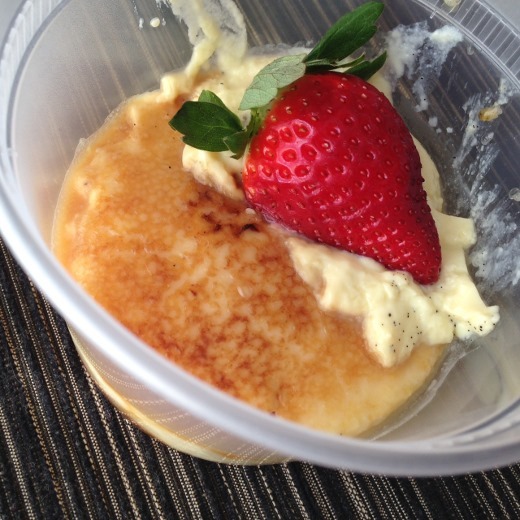 Crème Brulee – one of my favorite desserts! I rarely pass it up when I see it on a menu. Delish. 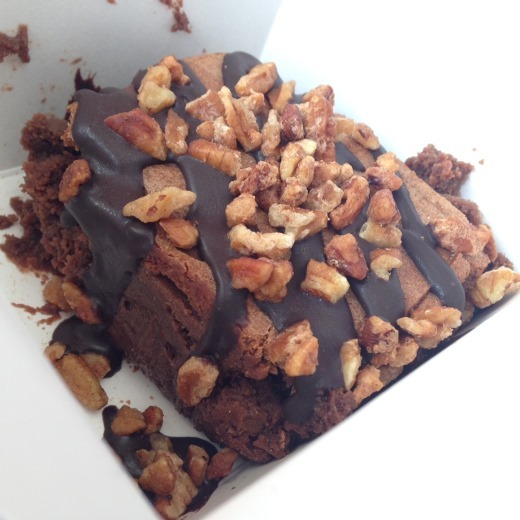 And, the star was this amazing chocolate brownie! (We also had a small tub of ice cream on the side!) This dense, gooey, rich brownie was like the perfect hybrid of moist chocolate cake and decadent chocolate fudge. The huz and I agreed that we would go back for a slice of this chocolate brownie cake alone (though we loved everything). It was that good. I cannot say enough nice things about our food and experience at Carson’s and am very thankful for the wonderful meal to which we were treated. This dinner really topped off our Valentine’s Day weekend!